At once an unconventional thriller and an original, unforgettable love story, Stray Dog Winter takes readers to 1980s Moscow-and into the heart of an extortion plot designed to change the course of Cold War history. Restless young artist Darcy Bright is attending university when an unexpected gift arrives from his elusive half-sister, Fin: a ticket to the Soviet Union, housed in a leather money belt, and an invitation for him to join her there. Although their relationship has suffered in the past-clouded by dark family secrets and Fin's sudden, unexplained disappearances-Darcy decides to put himself in his sister's hands, and brings himself to the USSR. Upon his arrival into the bleak Soviet winter of 1984, Darcy is immediately embroiled in Fin's mysterious life there and also drawn to Moscow's forbidden underground. Quickly and irrevocably swept up in a web of political and sexual intrigues, Darcy soon discovers Fin's involvement in a dangerous game of her own, and the already tenuous bond between them starts to unravel. 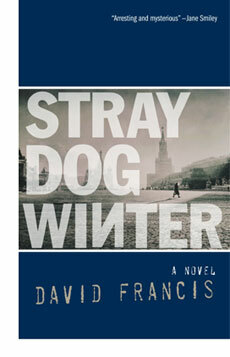 Atmospheric and suspenseful, David Francis's Stray Dog Winter is pure Soviet noir, a remarkable tale of love, passion, politics, identity, and espionage. 1. What do the opening scenes of STRAY DOG WINTER tell us about Darcy and Fin? For example, why does Darcy respond to Fin’s call to join her in Moscow? What is he searching for? What is he escaping? 2. How do the novel’s two distinct settings, Australia from the early 1960s and the harsh Moscow winter of 1984, provide such ideal locations for the unfolding of the political and emotional dimensions as well as the suspense of the novel? 3. There are a number of unconventional love stories that emerge during the course of STRAY DOG WINTER. How do these relationships reveal the characters? For example, Darcy being in the thrall of Fin, Fin’s involvement with Jobik, Darcy’s being drawn in by Aurelio. 4. What is the role and impact of the secrets held – secrets kept from Darcy by his parents, others held by Fin and then those of Aurelio, plus Darcy’s own secrets? 5. What role does the making of art, as well as Darcy seeing and experiencing the world as an artist, play in the novel? For example, his photos taken on the train, his viewing and painting of the Museum of Achievement, or finishing Fin’s sketch of the mothers from Archangelsk and the suckling donkey. 6. What is the significance and metaphor of the title STRAY DOG WINTER both as it pertains to the dogs that appear in the novel and the art, as well as the characters and the place. 7. What details of life in Cold War Moscow in 1984 surprised you most? Did you get a sense of the harshness of that Moscow winter becoming almost akin to a character in the novel? 8. Of the violent acts played out during the course of the second half of the book, can any of them be justified, politically or personally? Can violence ever be justified? 9. Can we forgive Fin for what transpires – for what she causes Darcy or for what she’s become involved in with Jobik? Can childhood or historical events or experiences ever do more than explain behavior in adults – can Fin or Jobik ever be forgiven or condoned? Can Darcy’s proclivities be understood? 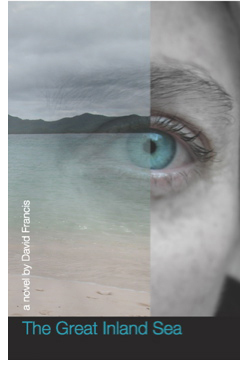 The Great Inland Sea, David Francis' astonishing debut novel, is a haunting and evocative story of grace and compassion, of love lost and found, and of a boy's enduring hope as he endeavors to forge connections with the world around him. It is the story of a boy called Day who, after witnessing the traumatic death of his mother, undertakes an unusual journey from his remote family farm in New South Wales to become caretaker of a horse named Unusual with whom he travels to America. On the Eastern Shore of Maryland, Day falls in love with the unlikely Callie, a quirky and ambitious young American who wants to be the first licensed woman jockey. His destructive love for her leads him to Puebla in Mexico and Summerland in California, and ultimately back to the Riverina, where he began, where his past reveals itself in ways that even he would never have imagined. Hailed as a "story of the love and loss in a sunburned country," David Francis' debut novel is an extraordinary achievement, an evocation of a devastated boy and his resilience, marking Francis as an exceptional talent and a stirring new literary voice.